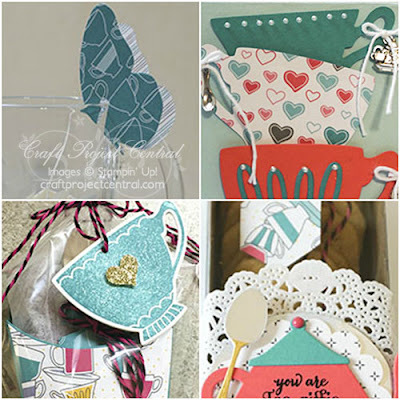 The projects in this tutorial are simple enough for new stampers, and the treats themselves will make anyone feel “tea-riffic”! Whether you need just a pretty card (adorned with charms, of course) or an ensemble of treats, this might be the perfect project! Create a package to hold an assortment of tea bags, a tea cup-shaped bookmark, and a box of cookies shaped like tea bags. 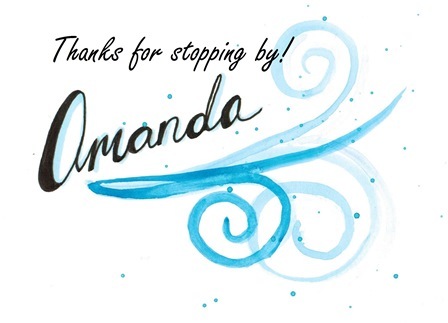 This ensemble wouldn’t be complete with a note card, and the tutorial even includes a pretty way to prevent the string from a tea bag from falling into a cup!